On Tuesday, May 16, voters of the Bethlehem Central School District will select three members of the Board of Education in addition to voting on the proposed 2017-18 school budget. Board members volunteer to serve unpaid, three-year terms which begin on July 1. Voters will have an opportunity to learn more about the eight candidates who are running for the Board the Education when the Albany County League of Women Voters hosts a Meet the Candidates Night on Tuesday, May 2 at 6:30 p.m. in the Bethlehem Central High School cafeteria. 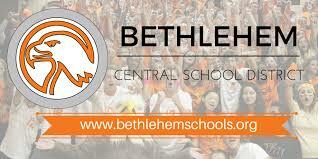 Bethlehem Central High School is located at 700 Delaware Ave., Delmar, NY 12054. The evening event will feature a question-and-answer format. Due to the large slate of candidates this year, the League of Women Voters is requesting those interested in attending the event to submit questions in advance. Submitted questions will be reviewed by League volunteers and categorized or condensed where appropriate. Index cards will also be available at the event for attendees with questions who do not submit questions online. Questions will be addressed as time permits. 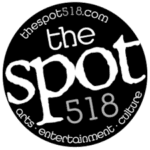 Have a question for the Board of Education candidates? Submit your question(s) here. Ryan Richman, of Delmar, is seeking his first term on the Board of Education. A district resident for six years, he works as an Emergency Room Physician at various local hospitals including Ellis Hospital and St. Peter’s. Richman and his wife, Kathryn, have three children: one at Eagle Elementary in grade 1; and two who are preschool age. Patty Michaelson, of Delmar, is seeking her first term on the Board of Education. She is an active community volunteer. A district resident for 21 years, Michaelson and her husband, Walt, have two children: one at BCHS in grade 11 and one at BCMS in grade 8. Holly Dellenbaugh, of Delmar, is seeking her first term on the Board of Education. She is a self-employed legal writing consultant. A district resident for 10 years, Dellenbaugh and her husband, Samuel, have three children: one at BCMS in grade 7; and two at Hamagrael Elementary, in grades 1 and 4. Erik J. Smith, of Delmar, is seeking his first term on the Board of Education. A district resident of eight years, he works for the Albany Port District Commission. Smith and his wife, Kate, have two children: both at Hamagrael Elementary in grades 4 and 1. Samuel L. Spitzberg, of Slingerlands, is seeking his first term on the Board of Education. He is the Director of Administrative Hearings for the New York State Office of Temporary and Disability Assistance. A district resident for five years, Spitzberg and his wife, Heather, have two children: both at Slingerlands Elementary in grade 3. Meredith Moriarty, of Delmar, is seeking her first term on the Board of Education. She is an attorney at Smith Hoke, PLLC. A district resident for five years, Moriarty and her husband, Eric, have three children: one at Elsmere Elementary in grade 2; and two who are preschool age. Christine Beck, of Selkirk, is seeking her second term on the Board of Education. A district resident for 16 years, she is a Senior Internal Auditor for American National Insurance Company. Beck and her husband, Peter, have three children: one is a graduate of Bethlehem Central High School, and two are currently in grades 9 and 11 at the high school. Willow Baer, of Delmar, is seeking her first term on the Board of Education. A district resident for two years, she serves as deputy counsel for the NYS Office for People with Developmental Disabilities. Baer has two children who will be attending Elsmere Elementary as kindergarteners for the 2017-18 school year. Current Board of Education President Matt Downey and Board Member Joanne Cunningham have chosen not to run for re-election this year. Learn more about the BC Board of Education. Learn more about the proposed 2017-18 Bethlehem Central School District budget. Information on voting for the Board of Education and the 2017-18 school district budget.